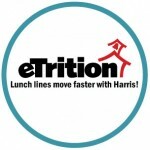 Harris School Solutions is proud to announce that Troy USD 429 in Troy, KS, has chosen to upgrade to eTrition, the powerful cloud-based Child Nutrition solution. Troy Public Schools, which operates two cafeterias for its students, is a long-time user of the Meal Tracker system, also from Harris. Not only is the Kansas district eager to gain better efficiency in its point of sale (POS) operations, it’s also looking forward to having more-robust reporting abilities. In particular, school administrators are excited that the eTrition system enables users to work anywhere they happen to be with an internet connection, which will increase productivity. Troy USD 429 also will make use of eTrition’s voice- and text-notification features to ensure better and more-timely communication with parents and other stakeholders. The Troy, Kansas, unified school district is planning to go live with eTrition early in 2017. Wonderview School District Opts for eTrition!